Clear yellow straw color. 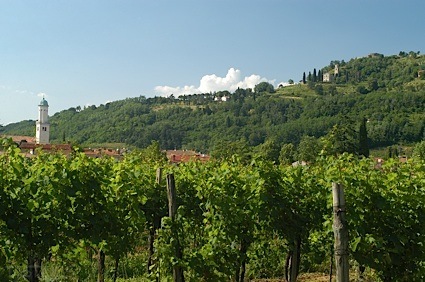 Earthy aromas and flavors of dried citrus and apples, muddy earth, rice, and green herb and chive with a supple, bright, dry-yet-fruity light-to-medium body and a smooth, easy finish imparting accents of Meyer lemon with fine, fruit tannins. A nice mellow sauvignon blanc sipper. Bottom Line: A nice mellow sauvignon blanc sipper. 89 • Chain Gang 2013 North Coast 15.1% (USA) $14.99. 89 • Chain Gang 2014 Pitch Black, Monterey County 13.5% (USA) $14.99. 88 • Clone 7 2014 Cabernet Sauvignon, Paso Robles 13.5% (USA) $13.99. 84 • Clone 7 2014 Reserve Cuvee, Cabernet Sauvignon, Napa Valley 14% (USA) $16.99. 93 • Clone 7 2014 Cabernet Sauvignon, Oakville, Napa Valley 13.5% (USA) $20.99. 92 • Clone 7 2014 Cabernet Sauvignon, Oak Knoll District, Napa Valley 13.5% (USA) $20.99. 87 • Clone 7 2016 Cabernet Sauvignon, Columbia Valley 14.4% (USA) $13.99. 89 • Clone 7 2017 Chardonnay, Columbia Valley 13.9% (USA) $12.99. 88 • Clone 7 2016 Red Blend, Syrah, Columbia Valley 14.3% (USA) $12.99. 83 • Clone 7 2017 Merlot, Columbia Valley 14.3% (USA) $10.99. 90 • Clone 7 2017 Pinot Gris, Columbia Valley 13.3% (USA) $9.99. 87 • Clone 7 2017 Sauvignon Blanc, Columbia Valley 13% (USA) $8.99. 88 • Clone 7 2018 Rosé, Columbia Valley 12.5% (USA) $9.99. 92 • Clone 7 2018 Riesling, Columbia Valley 11.5% (USA) $9.99. 88 • Cuvée A’Dair 2014 Les Chanvrières, Sauvignon Blanc, Sancerre 12.5% (France) $17.99. 89 • Cuvée A’Dair 2014 Chablis 12.5% (France) $24.99. 86 • First Timer 2014 Red Wine, California 13% (USA) $12.99. 93 • First Timer 2015 Repeat Offender, Pinot Noir, Central Coast 13.9% (USA) $19.99. 93 • Flynt Family Single Cask Series Cask Strength Straight Tennessee Whiskey 63% (USA) $89.00. 87 • Geaux Vineyards 2015 Chardonnay, Central Coast 13.5% (USA) $12.99. 87 • Geaux Vineyards 2014 Cabernet Sauvignon, Central Coast 14% (USA) $12.99. 92 • Janisson & Fils NV Brut Tradition, Champagne 12% (France) $34.99. 93 • Janisson & Fils NV Grand Cru Brut, Champagne 12% (France) $42.00. 91 • Janisson & Fils NV Blanc de Blancs Brut, Champagne 12% (France) $45.00. 94 • Janisson & Fils 2006 Grand Cru Brut, Champagne 12% (France) $50.00. 93 • Kirkland Signature 7 Year Old Tennessee Straight Bourbon Whiskey 51.5% (USA) $29.99. 88 • Kirkland Signature Tennessee Whiskey 40% (USA) $24.99. 90 • Kirkland Signature 2014 Meritage, Rutherford, Napa Valley 14.9% (USA) $19.99. 89 • Kirkland Signature 2013 Cabernet Sauvignon, Oakville, Napa Valley 14.9% (USA) $19.99. 88 • Kirkland Signature 2014 Columbia Valley 14.9% (USA) $8.99. 92 • Kirkland Signature 2015 Côtes-du-Rhône Villages Rouge 14% (France) $6.99. 89 • Kirkland Signature 2014 Cuvée de Nalys, Châteauneuf-du-Pape Rouge 14.5% (France) $19.99. 87 • Kirkland Signature 2013 Cabernet Sauvignon, Alexander Valley 13.6% (USA) $9.99. 89 • Kirkland Signature 2014 Pinot Noir, Carneros 13.9% (USA) $9.99. 89 • Kirkland Signature 2014 Cabernet Sauvignon, Stags Leap District, Napa Valley 14.3% (USA) $19.99. 89 • Kirkland Signature 2016 Ti Point, Sauvignon Blanc, Marlborough 12.5% (New Zealand) $6.99. 89 • Kirkland Signature NV Brut, Champagne 12% (France) $19.99. 91 • Kirkland Signature 2013 Meritage, Napa Valley 14.5% (USA) $10.99. 87 • Kirkland Signature 2015 Pinot Noir, Russian River Valley 13.9% (USA) $12.99. 89 • Kirkland Signature 2014 Chardonnay, Russian River Valley 14.1% (USA) $12.99. 90 • Kirkland Signature 2014 Mountain Cuvee, Cabernet Sauvignon, Napa Valley 14.9% (USA) $18.99. 89 • Kirkland Signature 2014 Cabernet Sauvignon, Napa County 14.6% (USA) $12.99. 88 • Kirkland Signature 2013 Old Vine, Zinfandel, Sonoma County 15.3% (USA) $9.99. 84 • Kirkland Signature 2015 Cabernet Sauvignon, California 13% (USA) $7.99. 88 • Kirkland Signature 2015 Chardonnay, California 13% (USA) $7.99. 86 • Kirkland Signature 2015 Pinot Grigio, California 12% (USA) $7.99. 92 • Kirkland Signature 2015 Pinot Noir, Carneros 13.9% (USA) $9.99. 93 • Kirkland Signature 2014 Cabernet Sauvignon, Alexander Valley 13.6% (USA) $9.99. 88 • Kirkland Signature 2015 Cabernet-Merlot, Columbia Valley 14.9% (USA) $8.99. 89 • Kirkland Signature London Dry Gin 44% (USA) $17.99. 92 • Kirkland Signature 2015 Cabernet Sauvignon, Oakville, Napa Valley 15% (USA) $18.99. 94 • Kirkland Signature 2016 Pinot Noir, Carneros, Napa Valley 14.5% (USA) $9.99. 87 • Kirkland Signature 2016 Chardonnay, Russian River Valley 13.6% (USA) $12.99. 87 • Kirkland Signature 2016 Cabernet Sauvignon, California 13% (USA) $12.99. 88 • Kirkland Signature 2017 Pinot Grigio, California 12% (USA) $7.99. 89 • Mt. Fury 2016 Cabernet Sauvignon, Wahluke Slope 14.1% (USA) $18.99. 88 • Mt. Fury 2016 Merlot, Wahluke Slope 14.5% (USA) $16.99. 86 • Mt. Fury 2017 Chardonnay, Ancient Lakes of Columbia Valley 13.5% (USA) $15.99. 89 • Mt. Fury 2016 Red Blend, Wahluke Slope 14.8% (USA) $16.99. 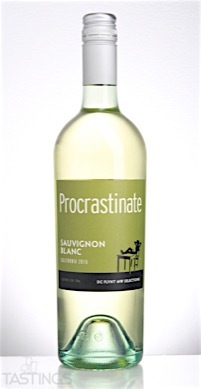 86 • Procrastinate 2015 Sauvignon Blanc, California 12.9% (USA) $12.99. 87 • Telegraph Hill 2012 Cabernet Sauvignon, Paso Robles 13.5% (USA) $13.99. 86 • Telegraph Hill 2013 Red Wine, Sonoma County 13.5% (USA) $14.99. Procrastinate 2015 Sauvignon Blanc, California rating was calculated by tastings.com to be 86 points out of 100 on 1/6/2017. Please note that MSRP may have changed since the date of our review.